Professor David Braunstein teaches the girls how to make a glider as an introduction to aerospace engineering. Photos by Asia Morris. 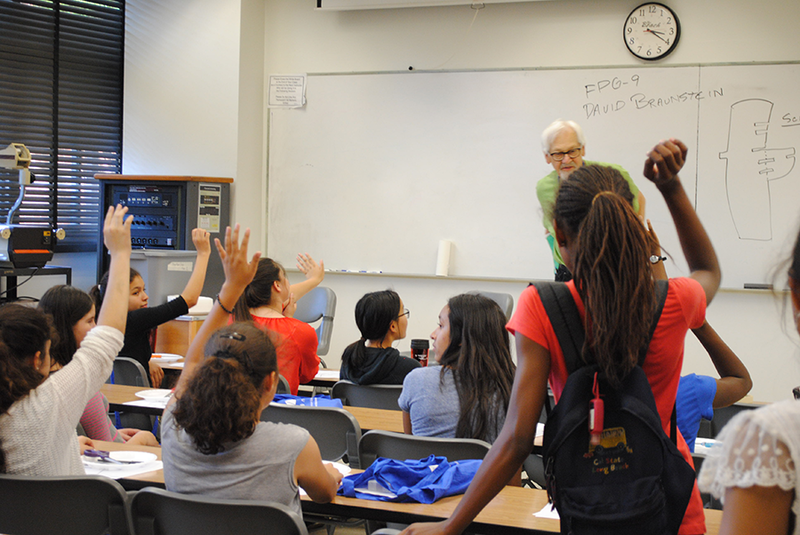 Long Beach City College, in partnership with CSULB, is hosting a 5 day Future Girls @ The Beach: STEM Residential Program for middle school girls, funded by an SB70 CTE grant from the CSU Chancellor’s Office. 6th, 7th and 8th grade girls with a minimum GPA of 3.0 were eligible to apply, while Long Beach middle schools involved with the MESA (Mathematics, Engineering and Science Achievement) Program helped recruit. Throughout the 5-day camp, which started on August 1 and lasts until August 5, the girls visit engineering labs, partake in engineering field trips, engage in social activities with engineering organizations and attend aerospace, chemical, civil and mechanical engineering workshops. Student volunteers involved with the Society of Women Engineers (SWE), the Society of Hispanic Professional Engineers (SHPE), the National Society of Black Engineers (NSBE) and the American Society of Civil Engineers (ASCE) help supervise and mentor the girls throughout the entirety of the camp. According to Reda, the MESA Statewide Program has been around for over forty years, while CSULB’s K-12 Outreach & Recruitment Program is fifteen years old. Participating middle schools within the Long Beach Unified School District are Hamilton, Hudson, Jackie Robinson, Lindbergh, Lindsey Academy, Nelson Academy, Powell, Stanford and Washington. Such programs, like this 5-day camp, are completely dependent on funding outside of the college. Reda explained that she can plan as many programs and activities for the girls as the current funding allows. Students learning how to make cement slumps. 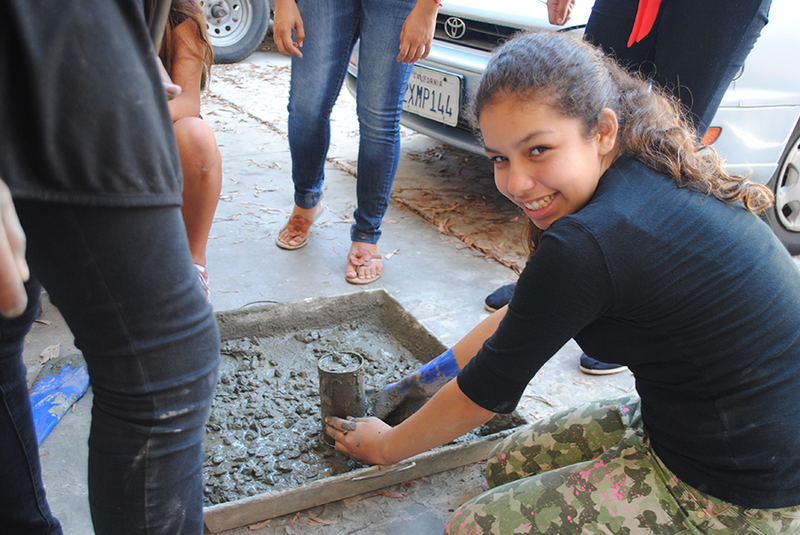 On Friday, the girls learned how to construct a cement slump, a measuring device used to test the consistency of freshly made concrete, followed by a class on how to build a glider, which barely grazed the surface of an introduction to aerospace engineering. “We try to get them exposed to civil engineering, biomedical, aerospace, electrical … even within civil there are a lot of different types that they may not know about,” Reda said. With the help of schools like LBCC, CSULB and with the support of the CSU Chancellor’s Office SB70 CTE grant, as well as supporting middle schools, these young girls can go on to attend college and pursue careers in STEM. Editor’s note: This story has been updated with additional information.